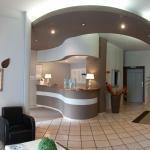 TravelEurope Sesto San Giovanni hotel reservation service provides you with a wide variety of lodging and hotel options, from cheap hotels to luxury accommodation in Sesto San Giovanni. Quick and easy hotel reservations with instant confirmation and great value for money whether you travel for business or tourism. Select travel dates and find all available hotels in Sesto San Giovanni, check out guests reviews and locate properties on Sesto San Giovanni city maps, book your favourite accommodation with no pre-payment. All rates are in Euros and inclusive of all taxes. 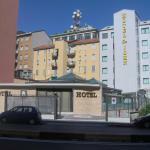 Hotel St. John welcomes you at the gates of Milan, close to Sesto Marelli underground station. 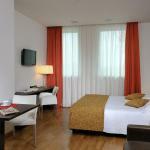 Perfect for business or leisure trips, it offers easy access to both FieraMilano exhibition center and the city centre. The Hotel Rosa is located on the northern outskirts of Milan, 5 minutes walk from the metro station Sesto Rondò, allowing easy access to the centre of Milan and the exhibition center FireraMilano. The Grand Hotel Duca Di Mantova awaits you in Sesto San Giovanni, on the northern outskirts of Milan. 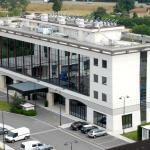 The hotel is well connected to the metro station Sesto Rondò, and is located near the A25 and A4 motorways. Located on the outskirts of Milan, Grand Hotel Barone Di Sassj stands in a residential area well connected by metro trains, a few stops from the Duomo. The Hotel Bert is situated in a convenient location in Sesto San Giovanni, near to underground station Sesto Marelli and Sesto Rondò, from which you can reach the centre of Milan in twenty minutes. Hotel Nuovo Rondò is located in Sesto San Giovanni, 10 km away from Milan city centre and close to the metro station Sesto Rondò. 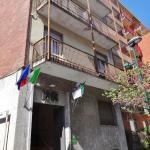 Perfect for a business trip, FieraMilano Rho-Pero is a 40-minute drive away.